Here is a new painting in acrylics on a small chunky canvas I've just finished. 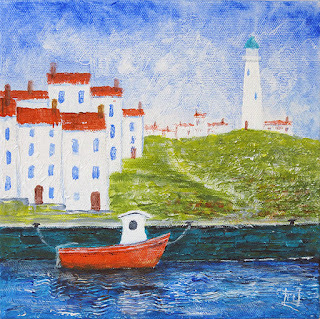 A small serene harbour with of course a cute fishing boat. 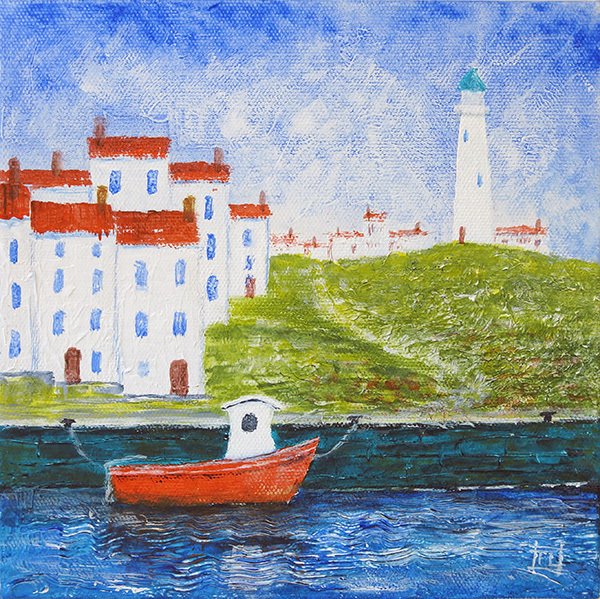 This painting is ready to hang and fitted with two hanging options. Size: 8 X 8 inches X 1.5 inches deep. Painted with Atelier Interactive acrylics and finished with a UV protective varnish.